Manufacturing businesses all across the globe doubtlessly have lots of machines of varying types and functions performing multitudes of tasks on a daily basis, do they keep a record of their functionality, their downtime and processing delays? In another scenario, when shipping or storing foodstuffs or vaccines that must be kept at a certain temperature how does one ensure that the processes involved are being maintained or have failed? From monitoring the temperature of a refrigeration unit to the amount of current drawn by an electric motor and scenarios that could provide valuable insight and security in the case of litigation, storing valuable data is becoming more paramount in today’s digitally-based world. Lascar Electronics is one of the world’s leading manufacturers and suppliers of data logging devices. From the EasyLog USB range of low-cost standalone dataloggers that can store a plethora of data such as temperature, voltage & current to the remote cloud-based data loggers that can feed a constant live-stream of information over the internet for live viewing. 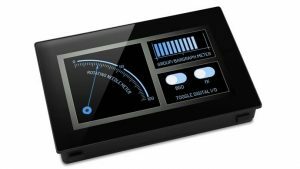 Not only do Lascar Electronics design and build a superb range of data-loggers, but they also produce an impressive range of smart panel displays where you can use dedicated software to create your own unique visual interfaces. 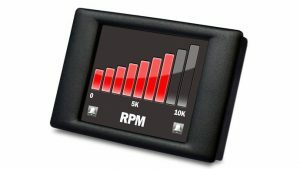 And when your control panel needs a simpler display solution there is a range of durable low-profile LCD and LED panel meters available. As an official supplier partner for Lascar Electronics, all of these devices and more are available from Kempston Controls. The impressive range of Lascar standalone USB data loggers come in a variety of guises, from the super-tough stainless steel bodied EL-USB-1-PRO to the EL-USB-1-LCD, regardless of whatever data you are striving to gather, from temperature to carbon monoxide levels, these durable, handy sized battery powered data loggers will have all your bases covered. Available with calibration certificate for when the situation demands it, or without, the choice is yours. 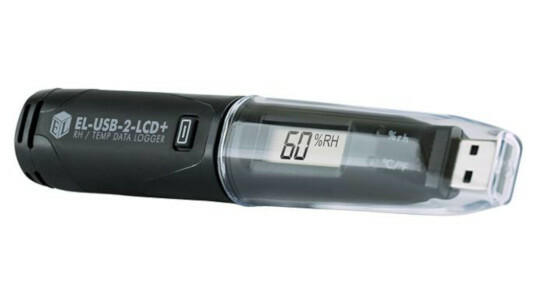 The entry-level member of the EasyLog EL series of USB data loggers, although it won’t break the bank. Designed to measure temperature data, this device can store over 16000 readings, with logging rates between 10 seconds and 12 hours. You can start logging immediately or delay it, set-up alarm thresholds and get status updates from the red, green and amber LEDs. Utilising the free-to-download Easylog software you can record trends in temperature data that can be graphed, printed and exported to other applications for detailed analysis later. 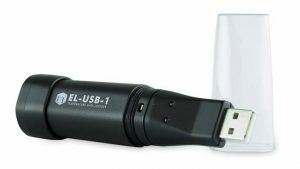 When the environment and the situation that requires a sturdier disposition then the EasyLog USB-1-PRO is the discerning choice for measuring temperature. 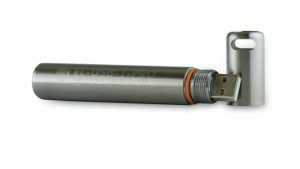 With an extended range of over 32000 readings and a substantial 316 stainless steel case and logging rates of between 1 second and 12 hours, the USB-1-Pro operates in environments as low as -40 and as high as 125 degrees C. All of this data can be accessed and visualised using the EasyLog software. When visual logged data regarding temperature, humidity and dew point data is required at the push of a button, the EL-USB-2-LCD standalone data logger could be just what’s needed. 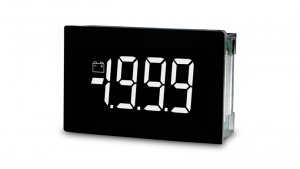 Featuring a high-contrast 2.5 digit LCD display, a logging rate between 10 seconds and 12 hours, user programmable alarm thresholds for temperature and humidity and red/green status LEDs. As per the rest of the EL family of data loggers the EL-USB-2-LCD interfaces seamlessly with the Easylog free-to-download software. 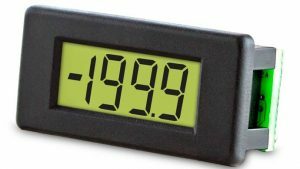 If you like your essential voltage data displayed in glorious colour then the SGD-24-M voltage meter with its 2.4” colour TFT screen is the ideal partner for panel mount display purposes. Fully compatible with Lascar’s free-to-download PanelPilot software (compatible with Windows 7, 8, 10) you can customise the display of text labels, colours input scaling and even add a splash screen, whatever you need to suit your needs. When an application demands a capacitive 4.3-inch full-colour touchscreen powered by an Arm 9 processor packed with 1Gbit of DDR2 SDRAM and a 2GB SD card, then the Linux embedded SGD-43-A is the device for you. Part of Lascar’s PanelPilotACE range, this low-profile display can be powered by USB or a 5-30V dc supply and is packed with hardware interfaces such as 4x 16bit bi-polar inputs, 8x digital input/output pins, 2 alarm inputs and more. Used in conjunction with free-to-download PanelPilotACE software which allows the creation of any display visuals from simple meters and dials to advanced interfaces. Do you need to measure the temperature and humidity of a certain environment and have the ability to view that data remotely via the EasyLog cloud? Lascar’s EL-WiFi-TH temperature and humidity sensor streams valuable data over any compatible WiFi network which can then be viewed on a PC via the free-to-download EasyLog software or using the EasyLog App. 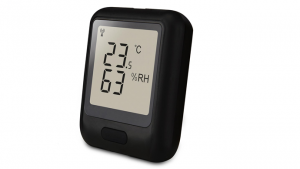 This handy IP55 rated data logger has a temperature range of -20 to +60°C and 0 to 100% humidity, features a rechargeable battery that can last up to 6 months with typical use, or it can also be powered using a PSU via its USB socket. Offering a 5.5mm digit height, 200mV dc full-scale reading, auto-zero and auto-polarity, LED backlighting and ability to program decimal points the DPM 1AS-BL low-profile voltage measuring panel meter could be ideal for your application. Perfect for power supply monitoring, panel mount indication, low power voltage measuring and a whole host of other applications. 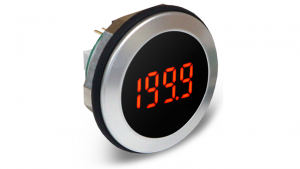 The ME32-1B-LED is the perfect LED voltmeter panel mount solution, with 8mm digit height, 3 decimal points auto-zero and polarity and 200mV dc full scale reading its low profile easy-fit design is ideal for lots of applications, including panel mount instrumentation, process control monitoring and more besides. IP67 rated with a durable round metal bezel all of the connections are cleverly designed into the rear of the threaded mount. Excellent readability under most lighting conditions due to it’s enhanced contrast negative mode LCD display, with built-in LED backlighting, the SP-400-EB-W LCD Panel Mount voltmeter is the device for you. With 9.75mm digit height, 200mV dc full-scale reading, auto-zero and polarity this handy splash-proof panel meter is ideal for a multitude of applications, such as test boxes, power supply monitoring, precision instrument systems and others. If you need to log your essential data as efficiently as possible and make cloud-based information visible via an app or on a computer or visualised on one of Lascars Electronics impressive smart graphic displays, Kempston Controls brings you the perfect solution from for retrieving, storing and visualising your essential data logging information. « Are you SIRIUS about Spring-Loaded Terminal Technology?